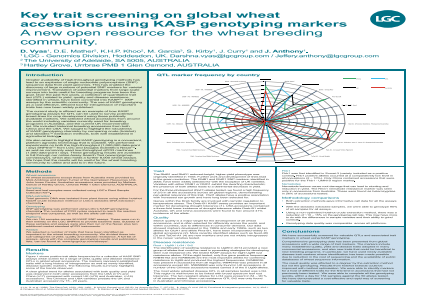 markers in wheat using KASP genotyping. databases of wheat sequence information. quickly, within a day for 154 samples against the 50 alleles tested.